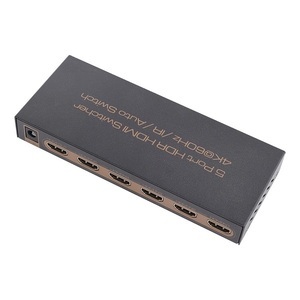 The HDMI Extender over Single Cat5e/6 with Bi-directional IR extends high definition video and audio signals and IR, at a distance of up to 164ft/50m over a single Cat5e/6 cable. Features EDID management, which allows and encourages source and display “handshake” for seamless integration. 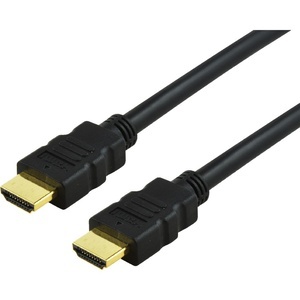 With only one cost effective Cat5e/6 cable, high definition sources with HDMI outputs can be connected to high definition displays with HDMI inputs over long distances. 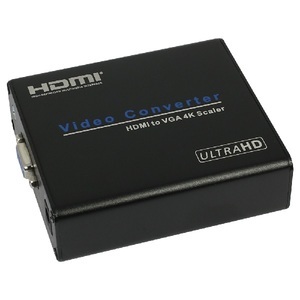 Deep color video, DTS-HD or Dolby True HD audio is supported and compatible with the extender. 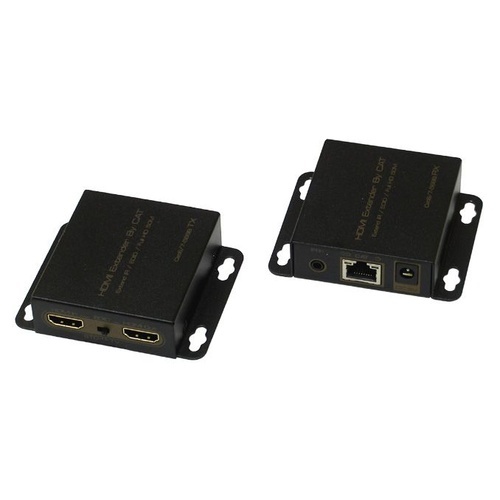 In addition, the extender is also equipped with bi-directional IR pass-through which allows for source or display control. The extender includes two units: transmitting unit and receiving unit. The transmitting unit is used to capture the HDMI input with IR signals and carries the signals via one cost effective Cat5e/6 cable. The receiving unit is responsible for equalizing the transmitted HDMI signal and reconstructing IR and serial control signals. 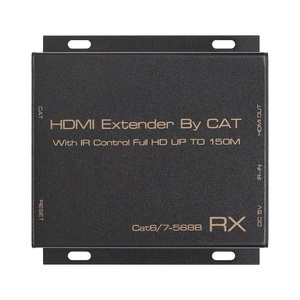 The extender offers the most convenient solution for HDMI extension over a single Cat5e/6 with long distance capability, and is the perfect solution for any application. 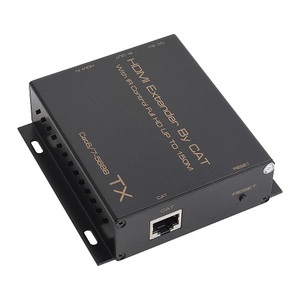 Tried this unit over 40m with Cat5E cable without any success. Interesting that the cable input on the unit is marked Cat6 but is advertised as Cat5E/6. Have bought a different brand for Cat5 and works perfectly. 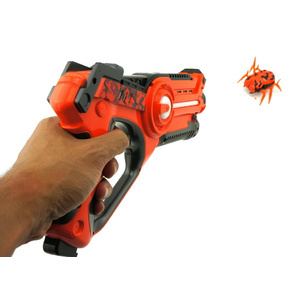 This product was selected to solve a problem that arose from a change not invisaged. I was installing a security camera system that originally was going to require the NVR to sit on a desk. The requisite Ethernet cable was installed to go back to the router. This was a new install before the plasterboard was fixed. The decision was made after this that having the NVR on desk probably wasn’t a good idea. That’s when the product above became a ‘Nifty Solution‘ allowing the NVR to be mounted with the router and camera switcher. After installing the above HDMI. Ethernet TX -RX combo we were very pleased with the outcome. I can absolutely recommend the product, it’s a lifesaver!